vCloud Archives - Page 2 of 12 - VIRTUALIZATION IS LIFE! 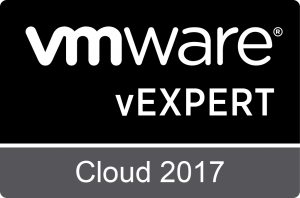 Last week VMware snuck out two point releases for vCloud Director 8.10 and 8.20. For those still running those versions you now have 8.10.1.1 (Build 6878548) and for 8.20 there 8.20.0.2 (Build 6875354) available for download. These are both patch upgrades and resolve a number of bugs, some of which appear to be mirrored in both versions. Degraded performance due to insufficient memory Resolves an issue that could lead to an insufficient memory reservation of the NSX Edge VMs, which might cause poor performance. Catalog synchronization failure Resolves an issue where synchronization of a remote catalog item fails with an out of memory, causing the vCloud Director cell to crash. Incorrect status update for VMs storage profile or disk-level storage Resolves an issue that could cause a VM storage profile or disk-level storage profile to be updated incorrectly when the VM is included in a recompose operation. This fix ensures that PvdcComputeGuaranteeValidator runs even when the deployment fails in Pay-As-You-Go allocation model. With this fix, the undeploy workflow ignores the VM deployment state if the undeploy operation is called with a force=true flag. Failure to move virtual machines between shared datastores Resolves a storage issue where moving a virtual machine from one shared datastore to another fails. Failure to allocate an external IP address and a gateway IP address Resolves several issues in managing the allocation of external IP a gateway IP addresses during VM boot and runtime when the NAT service is enabled and IP Translation is set manually. Failure to delete Organization VDC Resolves an issue that could cause various operations to fail. So a small point release for good to see the team continuing to improve the platform for those not yet able to upgrade to the latest 9.0 release. 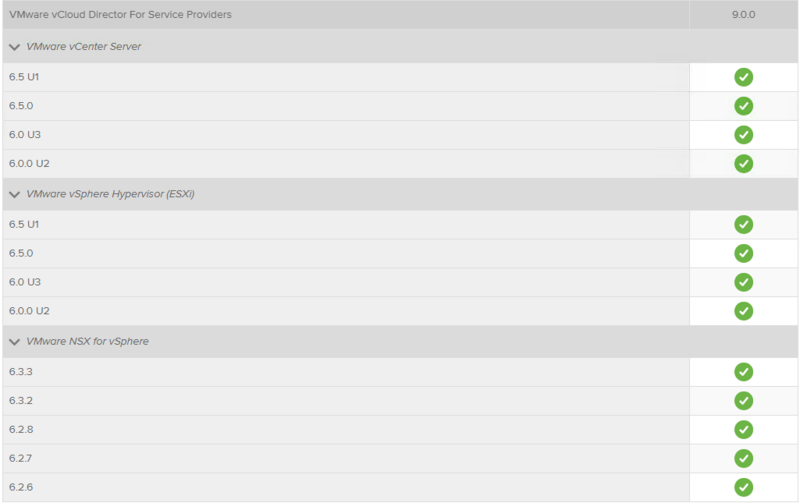 If you have the entitlements, head to the MyVMware site to download the builds. 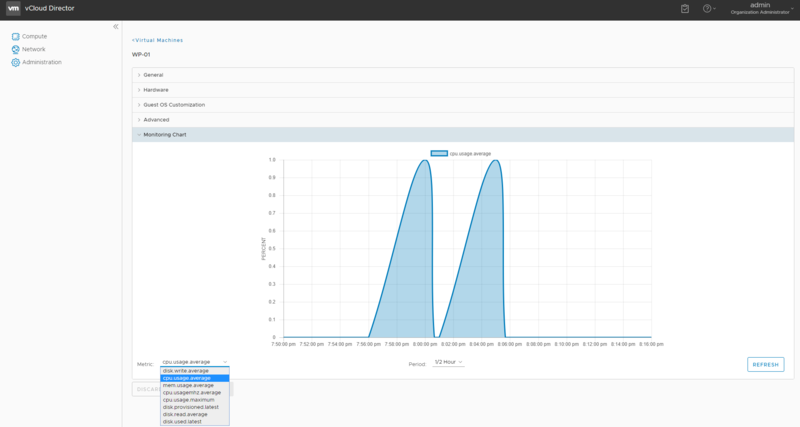 Last week I released a post on configuring Cassandra for vCloud Director 9.0 metrics. As a refresher, one of the cool features released in vCloud Director SP 5.6.x was the ability to expose VM metrics that service providers could expose to their clients via a set of API calls. 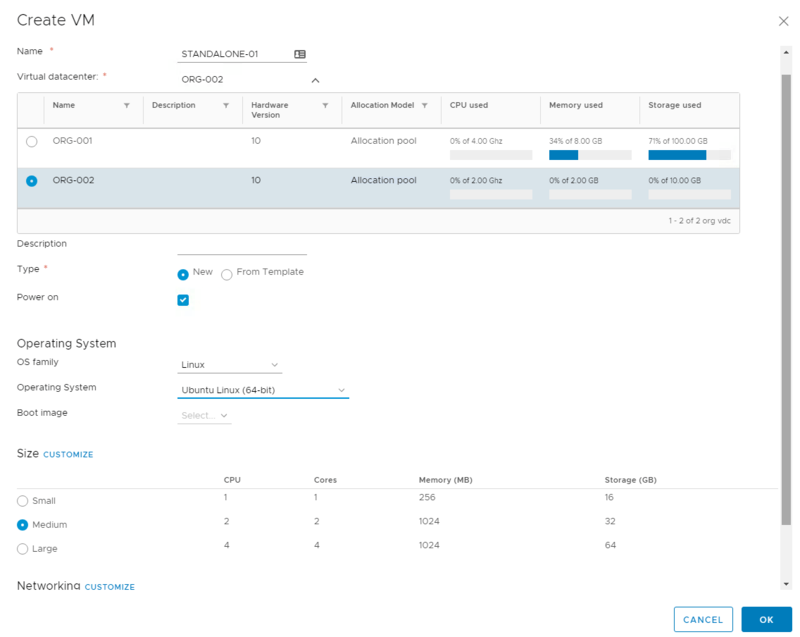 With the release of vCloud Director 9.0, the metrics can now be viewed from the new HTML5 tenant UI, meaning that all service providers should be able to offer this to their customers. With the Cassandra configuration out of the way, the next step is to use the Cell Management Tool to tell the vCD cells to push the VM Metric data. Before this, if you log into the HTML5 UI you will notice no menu for Monitoring…this only gets enabled once the metrics have have been enabled by the tool. Those familiar with the previous command to configure the metrics will see a lot more options that specify the Cassandra nodes, the original command to configure the schema, the username and password to connect to the Cassandra database with and the ttl for the data, meaning that if you wanted you could keep more than two weeks of data. [root@VCD01 bin]# ./cell-management-tool cassandra --configure --create-schema --cluster-nodes 10.0.30.7 --username cassandra --password cassandra --ttl 15 --port 9042 Verifying Cassandra settings... Cassandra setting valid for node: 10.0.30.7 Cassandra configuration settings verified successfully vcloud_metrics keyspace created... vm_metrics table created... adding configured metrics to the schema... adding counter: cpu.usage.average adding counter: cpu.usage.maximum adding counter: cpu.usagemhz.average adding counter: disk.provisioned.latest adding counter: disk.read.average adding counter: disk.used.latest adding counter: disk.write.average adding counter: mem.usage.average Persisting Cassandra settings... Success. The monitoring service is now configured to persist data into cassandra nodes(10.0.30.7), vCD cell(s) must be restarted if they are already running. Success. The monitoring service is now configured to persist data into cassandra nodes(10.0.30.7), vCD cell(s) must be restarted if they are already running. If you tail the Cassandra system.log while the process is happening you will see a bunch of tables being created and populated with the initial data. With the done, if you go into the new HTML5 Tenant UI and go to the Virtual Machine view you should now see a Monitoring Chart drop down in the menu in the main window. From here you can choose any of the available metrics across a half hour, hour, day and week timescale. If you still want to go old school the following API Calls are used to gather current and historical VM metrics for vCD VMs. The Machine ID required used the VM GUID as seen in vCenter. The ID can be sourced from the VM Name. The vCD Machine ID shown below in the brackets is what you are after. 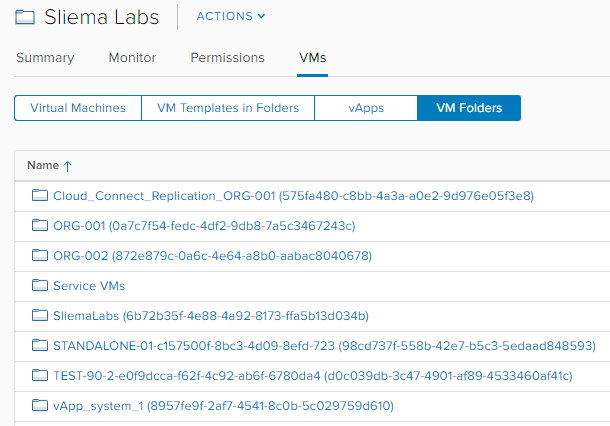 Released: vCloud Director 9.0 – The Most Significant Update To Date! Today is a good day! 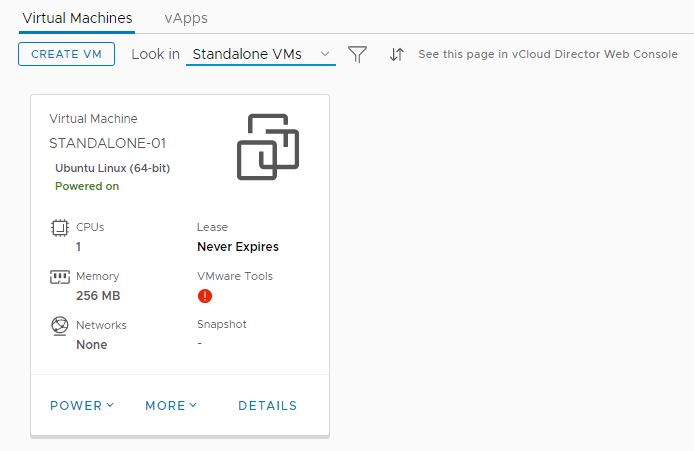 VMware have released to GA vCloud Director 9.0 (build 6681978) and with it come the most significant feature and enhancements of any previous vCD release. 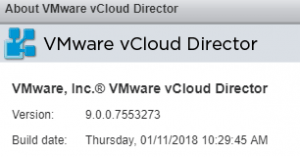 This is the 9th major release of vCloud Director, now spanning nearly six and half years since v1.0 was released in Feburary of 2011 and as mentioned from my point of view it’s the most significant update of vCloud Director to date. Having been part of the BETA program I’ve been able to test some of the new features and enhancements over the past couple of months and even though from a Service Provider perspective there is a heap to like about what is functionally under the covers, but the biggest new feature is without doubt the HTML5 Tenant Portal however as you can see below there is a decent list of top enhancements. PostGres 9.5 Support – In addition to MSSQL and Oracle, Postgres is now supported. I’m sure there will be a number of other blog posts focusing on the list above, and i’ll look to go through a few myself over the next few weeks but for this GA post I wanted to touch on the new HTML5 Tenant UI. 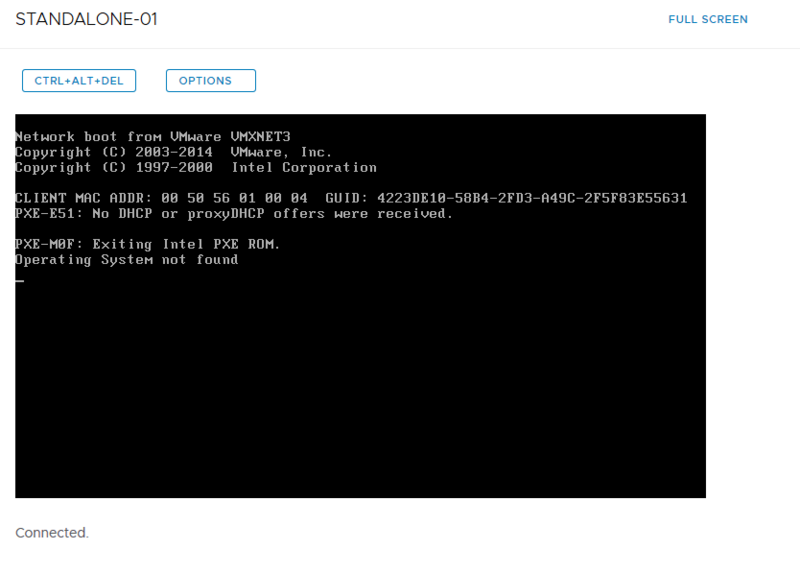 There is a What’s New in vCloud Director 9.0 PDF here. The vCD team laid the foundation for this new Tenant UI in the last release of vCD in bringing the NSX Advanced HTML5 UI to version 8.20. While most things have been ported across there may still be a case for tenants to go back to the old Flex UI to do some tasks, however from what I have seen there is close to 100% full functionality. The Networking menu is inbuilt into this same Tenant portal and you you can access it directly from the new UI, or in the same way as was the case with vCD 8.20 from the flex UI. Below is a YouTube video posted by the vCD team that walks through the new UI. There is also VM Metrics in the UI now, where previously they where only accessible after configuring the vCD Cells to route metric data to a Cassandra database. The metrics where only accessible via the API and some providers managed to tap into that and bring vCD Metrics into their own portals. With the 9.0 release this is now part of the new HTML5 Tenant UI and can be seen in the video below. As per previous releases this only shows up to two weeks worth of basic metrics but it’s still a step in the right direction and gives vCD tenant’s enough info to do basic monitoring before hitting up a service desk for VM related help. vCloud Director 9.0 has delivered on the what most members of the VMware Cloud Provider Program had wanted for some time…that is, a continuation of the commitment to the the HTML5 UI as well as continuing to add features that help service providers extend their reach across multiple zones and over to hybrid cloud setups . As mentioned over the next few weeks, I am going to expand on the key new features and walk through how to configure elements through the UI and API. 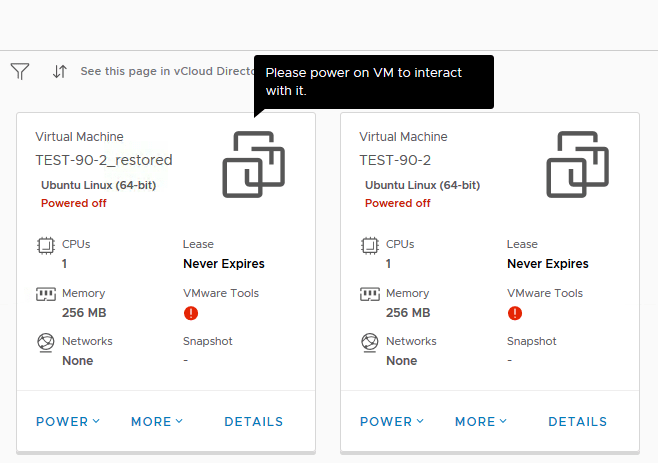 vCloud Director 9.0 is compatible with vSphere 6.5 Update 1 and NSX 6.3.3 and supports full interoperability with other versions as shown in the VMware Product Interoperability Matrix. With regards to Veeam support, I am sure that our QA department will be testing the 9.0 release against our integration pieces at the first opportunity they get, but as of now, there is no ETA on offical support.